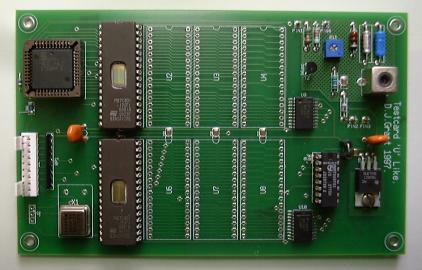 The Dinosaur Technologies "Testcard 'U' Like" solid state television test signal generator. Just follow the links… Which is your favourite Test Card? I'm sorry to say that we ceased production of the "Testcard 'U' Like" generator in 1999. We made these and our other products to get a bit of spare cash to fund the occasional curry and maybe a Murphy or two. As the product became more successful there seemed little point in having bought all those Murphys, there was no spare time available to work on them! If you were fortunate enough to buy one of my generators and need extra patterns, or if you would like to know more about Test Card "Lore", why not drop me a line.